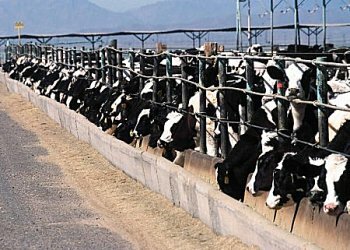 Expose CAFO conditions—Stop the Ag-Gag Bills! The communications director for the third-largest pork producer in the country has co-sponsored legislation to keep cameras out of his CAFO. You’d think he had something to hide. A state-based Action Alert. Concentrated Animal Feeding Operations. Factory farms. Poultry prisons. Whatever you call them, they are a national horror. And as we reported recently, a number of states are trying to pass laws to make it illegal to film or photograph inside factory farms without permission. Clearly they do not want the shock and shame of these places revealed to a public that votes with its pocketbook. Now more than ever, CAFOs need more scrutiny from the public, not less. The L.A. Times recently reported that almost half the meat in stores may have drug-resistant bacteria. Another study finds salmonella to be less prevalent in organic chicken—a finding that stands in sharp contrast to the incredibly unhealthy conditions at chicken farms. By exposing unlawful animal cruelty, and deplorable environmental, working, and animal conditions, citizens are doing the jobs that regulators are unable or unwilling to do: protecting consumers and animals from feedlot operations that are breaking the law. But this very activity has the factory farms running scared—and they are trying to stop it via the state legislatures. A new bill has been introduced in Minnesota that is a version of the bills in Iowa and Florida we told you about a few weeks ago. Thanks in part to your efforts, the Florida “Gag-Ag” bill was defeated last week! It passed the Florida Senate, but the House has withdrawn it from consideration and it died in committee! The other bill passed the Iowa House, but the Senate has not yet voted on it. Iowa residents: if you have not already done so, please write your state senators today and stop SF 431! But back to Minnesota. HR 1369 and SF 1118 are outrageous bills. Not only do they provide for new criminal penalties and civil liabilities for those who document what goes on at CAFOs, the law also seeks to penalize the “participants in conspiracy” as well—whoever would use or publicize the videos or photographs. This is an obvious shot at the organizations that are highlighting the illegal abuse and unsanitary conditions of CAFOs. The bills would prohibit recording, possessing, or distributing an image or sound recorded at an animal facility. They would also outlaw “obtain(ing) access to an animal facility by false pretenses for the purpose of committing an act not authorized by the owner of the animal facility.” The first offense would constitute a gross misdemeanor; the second, a felony. Wait, it gets worse. Who would introduce such a bill, which is so obviously pro-Big Farma? Why, it’s Big Farma! The sponsor of the bill, Minnesota House Republican Rodney Hamilton, lists his occupation as “pork producer.” But he’s not just any pork producer. He’s the communications director for third largest pork producer in the country. The Minneapolis-based organization Simple, Good, and Tasty did some superb research into the bill and learned that a majority of the bill’s co-authors are indeed factory farmers or are otherwise connected with the CAFO industry. Co-sponsors are already dropping from the bill, so let’s send a powerful message to the rest of them. If you are a resident of Minnesota, please contact your state legislators and voice your opposition of these bills! We’d also love to hear your comments about this article—just add your thoughts below—but remember that the messages below are only seen by our ANH-USA readers and not Minnesota Legislature, the FDA, etc.